Taking a stroll down Pixar lane, their animated creations have filled our childhoods with so many wonderful movies. When I think of their filmography over the years, it's hard to believe how they've turned ordinary objects into such beloved, popular characters. Thinking about their movies lately made me wonder what objects stood out the most - not necessarily characters like Woody from Toy Story or the automobiles from Cars- but the extra little props they use which makes a huge impact on their story or are just plain neat to look at. 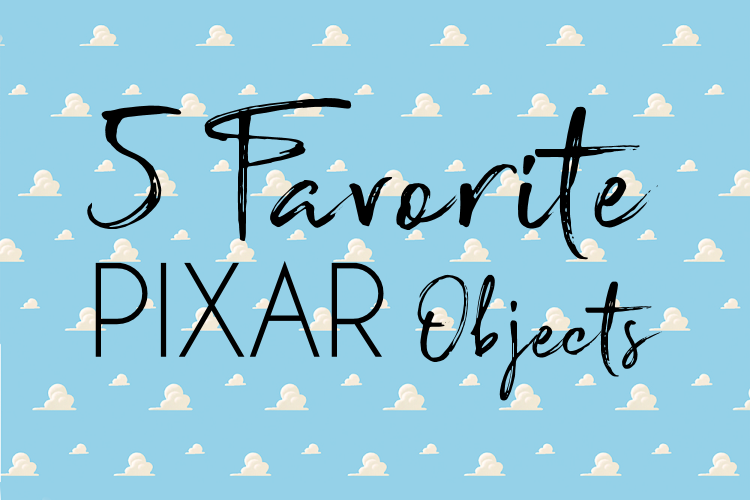 It made me wonder what my favorite objects in Pxar movies are.Here are my top five! What are your favorites? Let me know in the comments below! 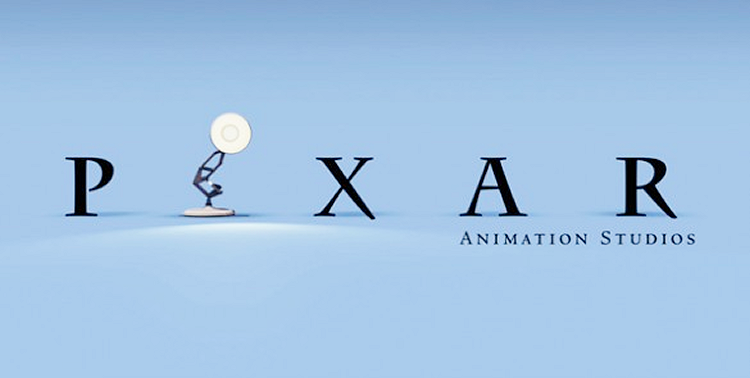 Quite possibly the best object to start the list off with has to be the iconic Pixar lamp. There's something particularly magical though about every single time the lamp hops across the screen and playfully budges down the I flat. Before the movie every one of their movie begins, the lamp brings back all the memories of their work and can't wait to see what other adventures they have up their sleeves. 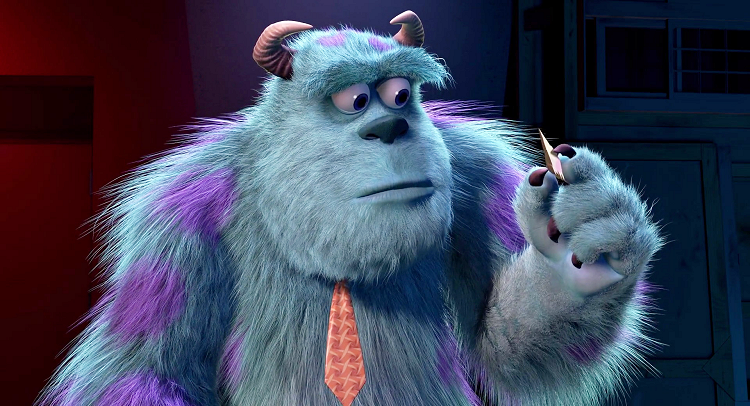 Monsters come into our rooms at night and make us scream - which is the energy for their entire universe in Monsters Inc. One small little gal Boo escapes into their city and changes the heart of a scream team on the top of their game. Each door throughout the film has it's own personality, but Boo's has to be an automatic fave. Though her bedroom door is adorable, it's the one last shard that Sully needs to piece it all together and see Boo one more time that gets this spot. 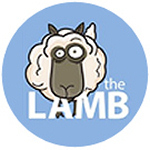 No child or parent ever goes without baring their son or daughter's name on their beloved toys. Every toy that came to Andy knew it was his by the simple act of his name at the bottom of their shoes. 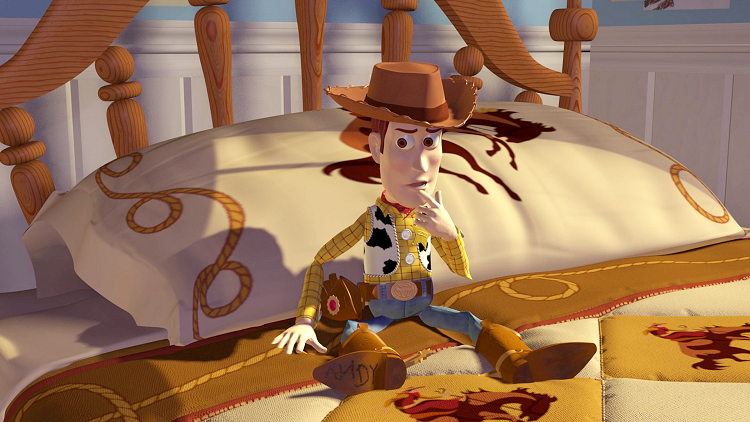 After seeing Toy Story in theaters when I was a little girl, I began marking all of my toys with not my name actually but Andy's. That permanent marker was on everything - thanks Andy! From my infinite love of snowmen and collecting them as ornaments, plushies...etc., I can't say this grumpy pants kickstarted it all. 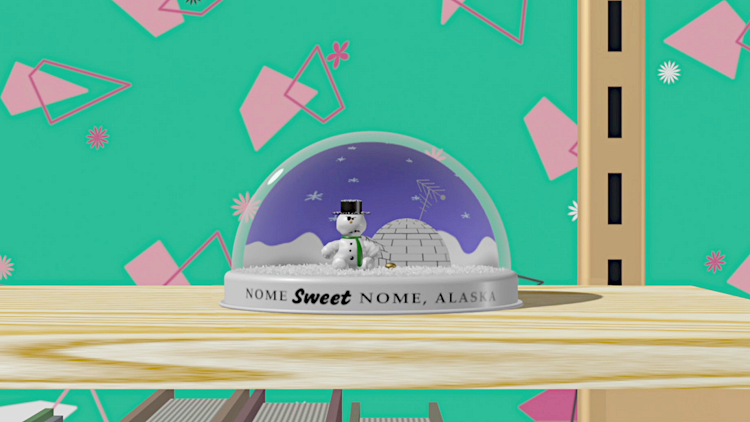 But as a star in one of Pixar's many great shorts Knick Knack, the snowman globe is one of my favorite objects. I love his battle against the environment to score a poolside babe, and then a mermaid fish bowl vixen, and it's just never meant to be. It's a widely regarded notion if you don't cry during the beginning of Up!, you just aren't human. 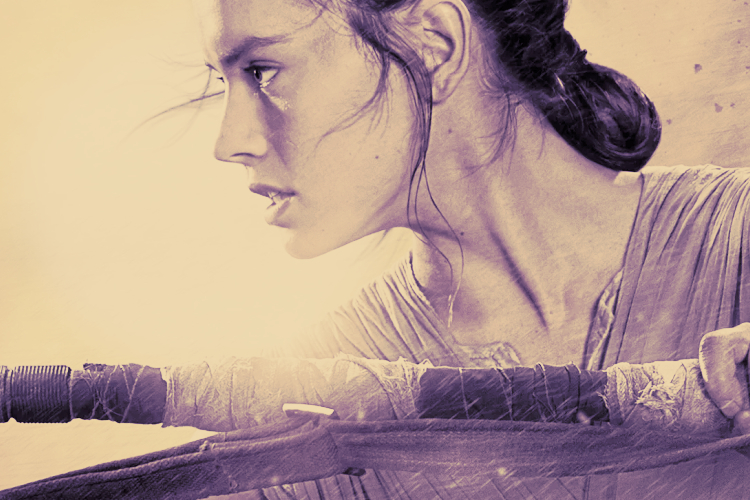 Ellie - a favorite character of mine ever is symbolized as the house, which practically acts as a living character on its dangerous trek to Paradise Falls. 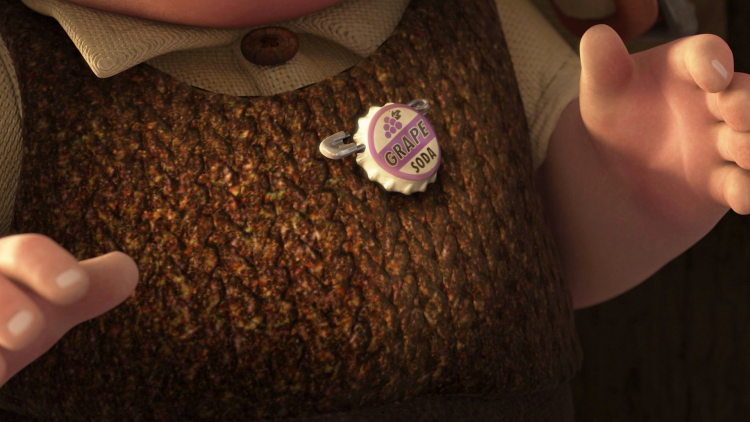 But Ellie also lives on in the Adventure book filled with her and Carl's adventures as well as the grape pin which goes on to live a life of its own with boy scout Russell. I actually have one pin of my own, and I can't help but feel like life's an adventure whenever I wear or see it.